Mr Kojo Oppong Nkrumah, the Minister of Information, has said the Ministry is collaborating with the Ghana Journalists Association to develop a National Coordinating Mechanism for the Safety of Journalists. The document, he said, would provide a decent framework to safeguard the safety of journalists, noting that, it would be ready by the end of the first quarter of the year. He said press freedom is a key element in every functioning democracy; and Government would not sit aloof for media practitioners to be killed without taking decisive action against the evildoers. He, therefore, assured of Government’s commitment to offer its full support towards the investigation of the murder of Ahmed Husein-Suale, a member of the Tiger Eye PI Team, in order to unmask the perpetrators of the heinous crime. The Minister once again used the occasion to express government’s condolences to the bereaved family, the media community and the entire nation. Mr Oppong Nkrumah gave the assurance when President of the Ghana Journalists Association (GJA) Mr Roland Affail Monney led the National Executives of the Association to pay a courtesy call on him at the Ministry in Accra on Friday. The visit afforded the opportunity to the GJA to congratulate Mr Oppong Nkrumah on his elevation to the status of a Minister State and pledged its support to him. The GJA used the occasion to officially invite him and the Ministry to play a key role in its 70th Anniversary Celebration slated for August 15, this year. The anniversary would be launched in early February and would be climaxed on August 15, this year. 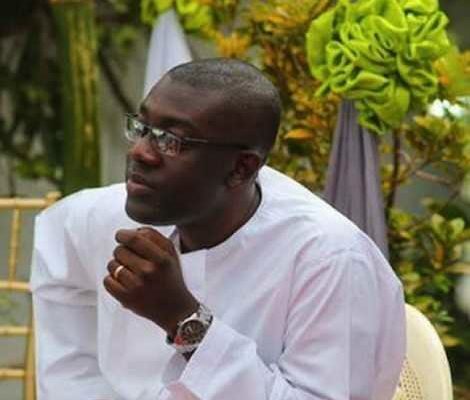 The GJA asked the Minister to use his influence in government to get the Vice President Dr Mahamudu Bawumia to launch the Diamond Jubilee celebration, while President Nana Akufo-Addo became the guest speaker at the event in August. Mr Monney was accompanied by Mrs Linda Asante-Agyei, the GJA Vice President and Mr Edmund Kofi Yeboah, the General-Secretary of the Association. The Information Minister said one of the strategic plans of the Ministry this year was to deepen its relations with stakeholders, including media houses, media owners, journalism and communication training institutions and civil society organizations. The Minister said while it was preparing to roll out its strategic plans for the year, the nation was hit with the sad news of the murder of Ahmed Husein-Suale, the Tiger Eye PI Investigative Journalist. The GJA President, on his part, said Mr Oppong Nkrumah had been a flag bearer for the media fraternity in Government, noting that, his elevation to the Ministerial portfolio was also an elevation for the media in general. He commended the Minister for performing marvelously and meeting the expectations of the media since his appointment some few months ago, saying: “so far, so good, and your conspicuous dazzle is not surprising because in the studious you were a gem and so if you’re excelling it’s not news and you will continue to excel because when you shine we also bask in that glory”. The GJA President solicited the support of the Ministry towards the organization of its Diamond Jubilee celebration. He also used the platform to reflect on the gruesome murder of Ahmed Husein-Suale, a Member of the Tiger Eye PI Team, on Wednesday, January 16, in Madina, a suburb of Accra. Mr Monney said Ghana did not have a history of such horrendous killings of journalists, describing the dastardly act as total “unghanaian”. “In fact, we’re bleeding because when one journalist is attacked then all of us are attacked and the only way to staunch the bloodbath is for justice to be done,” he said. The GJA President believed that the only way to halt the litany of attacks on journalists in the country was to thoroughly investigate the heinous crime and bring the perpetrators to book. He expressed worry about the global trend in killings of journalists, noting that out of 10 murder cases involving journalists, only one is investigated. Mr Monney expressed optimism that given the country’s pedigree in media freedom and democratic credentials, government would investigate the case to its logical conclusion. “We will continue to push for justice to be done or else it will grant impunity to people to continue attacking journalists and dim our beacon of democracy,” he noted. On measures to safeguard safety of journalists, Mr Monney said last year the Association in collaboration with the Ministry took steps to formulate guidelines for safety of journalists. With the support of a Norwegian Media Association, he said the GJA also organised training for some journalists on safety of journalists last year, noting that in view of what has happened, it re-enforced the need to scale up training for media practitioners. He expressed the hope that the Right to Information Bill would be passed into law this year to enhance media practice in the country.